Divorce adversely affects all the members in the family. Besides, the divorcing couple has to make several tough decisions like splitting the money and the joint assets. Most of these are one-time decisions that can be made and altered according to the needs of the couple and the children. Child custody and child support payment decisions, on the other hand, are the trickiest part of a divorce settlement. Hence, it is important to get them right from the beginning. For instance, divorced couples often think that once the child support agreement is signed it’s final and settled for life. However, the truth is, the contract can change depending on factors like the parents’ income and the amount of time each parent spends with the child. Every state court uses a specific system to determine child support payments. However, the divorced couple can negotiate and mutually agree upon a child support settlement depending on their personal priorities and capabilities. Though the court-ordered child support can be altered, it still needs to be approved by the judge. Hence, it is critical to effectively negotiate child support with the other parent to get a reasonable settlement for your child. Consider the effective tips shared in this post when negotiating child support payments. Quite understandably, emotional tension between divorcing couples is one of the primary reasons for child support negotiation failure. Though you may find it tough to converse with your ex-pertaining to this topic, remember to keep your emotions in check and focus on getting the best child support agreement for your kid. Understand that though you are getting a divorce, you aren’t alone. Talk to a close family member or a friend you can count on or consult a qualified therapist who can help you cope with your feelings and to deal with this frustrating and stressful situation. Be patient. Negotiations take time, especially when you have bitter emotions hovering around you. Avoid being confrontational with your ex and focus on the agenda rather than getting stuck in past issues. If your ex-attacks you emotionally, try not to take the bait. Instead, prioritize your child’s interests and generate solutions that will positively impact his/her future. 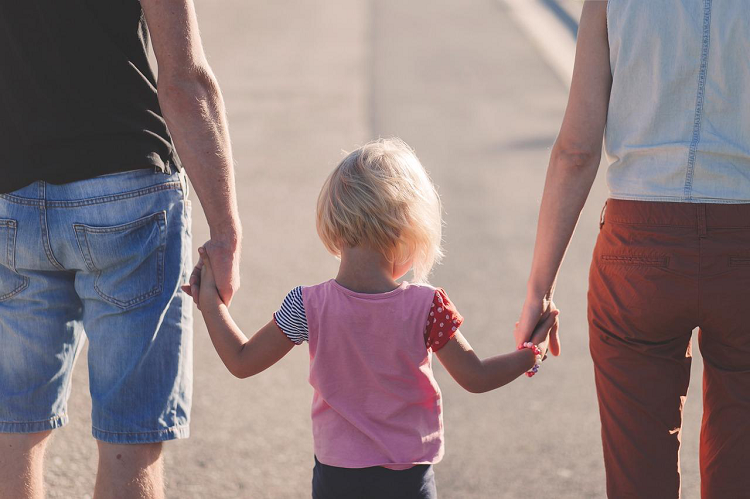 Keep your differences aside and encourage your ex-spouse to understand that child support is about your kid’s well-being and securing his/her future. This will make the process less stressful and increase co-operation from both the parties involved. Your behavior will have a huge impact on the child support outcomes. Learning to control your emotions will help you think rationally and create a suitable environment for negotiating a justifiable child support agreement. Believe it or not, the current child support system is based on how the judge will interpret the financial information you and your attorney have submitted to the court. Therefore, it is critical to understand how child support is determined and what information to submit in the court. The state laws for child support vary significantly. It is wise to consult a child support attorney in your neighborhood who can guide you with local laws. For instance, Geneva divorce law attorneys understand that the state of Illinois calculates child support based on the income shares model, where the incomes of both the parents are combined and the presumptive child support obligation is prorated between them, based on the percentage of the combined income. The ultimate objective is to ensure your child has the same financial support that he/she would have had if you and your partner had remained together. Before getting into child support negotiations, it is advisable to learn about the entire process, the local rules, and the relevant statutes that will affect your case, enabling you to take an informed decision in favor of your child. When determining child support, sit with your attorney and pen down all the aspects of your child’s life. In addition to your and your ex’s gross income, it is wise to consider the following factors when calculating all the child support. Work out all the costs well in advance and submit financial records like receipts for house rent agreement, paid tuitions, medical bills, and other expenditures related to your child. Negotiating and agreeing to a child support settlement is easier than having to consent to the one imposed by the court. When the divorced couple comes together to prepare a child support proposal, they are more likely include the unique aspects and intentions of the family in comparison to a judge who hardly knows them. Handling money matters that will affect your youngster can be stressful. To prepare a practical child support adjustment, you and your ex should sit together and exchange your financial information. Consider the needs of your kid, prioritize them, and figure out which ones can be funded. This exercise will make it easy to agree to and sign on the proposal. Moreover, when the couple keeps the lines of communication open, each parent gets a clear understanding of how the proposal will affect the final child support amount and whether or not any changes need to be made. Lastly, remember to consult an experienced child support attorney or a mediator in your state and ask him/her to review the proposal, thereby ensuring all the issues that may arise in the future have been addressed. A qualified attorney can also help if your ex-withholds child support payments in the future. The divorce process can be complex and overwhelming, especially when kids are involved. Decisions like child support payments can significantly affect your kid’s future. Therefore, it is critical to have proper knowledge of your state’s laws and work with your ex to finalize an acceptable child support for your young one. Use the information shared in this post to be most effective when negotiating child support during the divorce process.